For 2015, we are debuting a new column here at Games I Made My Girlfriend Play: Gateway Games. Written by Laura, these posts will highlight different genres of video games and recommend specific franchises or titles to get folks playing. To kick off this new series of articles, we are taking the next few weeks to discuss one of Laura’s preferred gaming genres- racing games! Racing is a pretty broad genre of video games. The title of “racing game” can be applied to pretty much any type of game where the player engages in some sort of competition from point A to point B (using anything from snowboards to jet skis to dragons). In this case, we’re going to talk specifically about racing games with cars. I particularly love car racing games because their challenges can easily be completed in under 20 minutes. This makes racing a great introduction for new players, as well as a fun pastime for casual gamers or enthusiasts with limited time. Generally speaking, most car racing games fall in a spectrum between arcade style and various degrees of racing simulations. 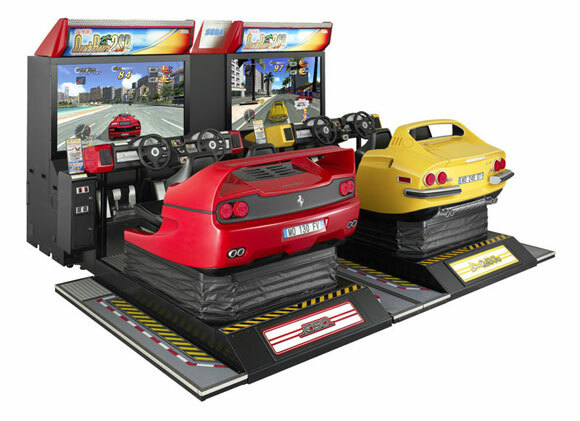 Arcade style games are more approachable to the casual gamer, particularly if they have no interest in cars or racing. The focus is less on a realistic experience and more on a fun and exciting one. The physics can be …inventive, the tracks…creative, and proper racing technique more or less irrelevant. Semi-simulation games fall in the middle of the arcade-simulation spectrum. They push realism and physics, but still remain approachable to the average player. There is more emphasis on proper technique, but there are also aids in place (automatic transmission, anti-lock brakes, not blowing up when your car careens into a wall at 200 mph) that allow the player to focus on the race instead of micromanaging rpms. 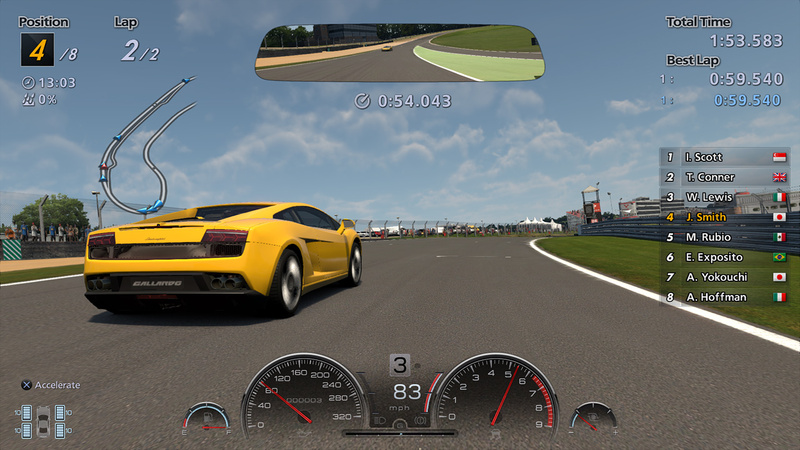 True racing simulators focus heavily on vehicular behavior physics and proper technique. Games like the NASCAR or Formula One series, or iRacing are technical and more difficult to master. I don’t particularly enjoy this sort of game, so I wouldn’t advocate them to beginners or people are not into real life racing. Also, for this purpose of this guide, I’m going to focus on game franchises rather than individual games. Most of the games listed below are available across multiple platforms in one form or another. The pros, the cons, and the spirit of each game remains constant across the series. Here are five series that can pave the way to the world of racing games. While Mario Kart is not technically a “car” racer (it’s a “kart” racer, if you want to get specific) let’s crawl before we walk, shall we? This is by far the most approachable racing game I’ve played. Mario Kart was designed for all ages so it’s aesthetically interesting, technically manageable, and not the least bit concerned with the proper physics of a dinosaur riding a motorcycle. There are power-ups that imbue a player with temporary abilities that make it easier for less experienced players to place higher than they might based on technique alone. They also ensure that experience is not a guarantee of success (the blue shell humbles all). There are a number of challenges and little games that take the focus off of winning races and allow you to work as a team. Mario Kart is also great for parties. If you can get a group over for a party, you can apply the persuasive leverage of peer pressure to turn it into a full blown Mario Kart-y. The Burnout series is way less concerned with a player actually winning races and more about causing as much damage as possible by the laws of whatever physics engine the game employs. If your loved one needs a way to vent their suppressed road rage, this might be the ticket. 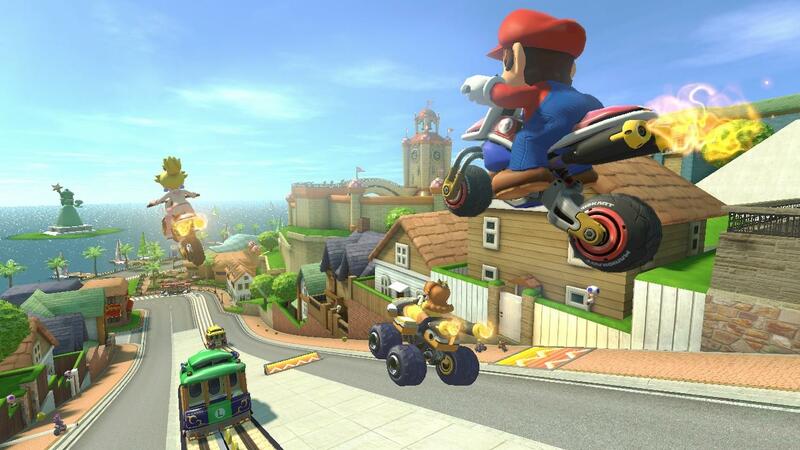 If Mario Kart is go-karts, Burnout is bumper cars on fire. 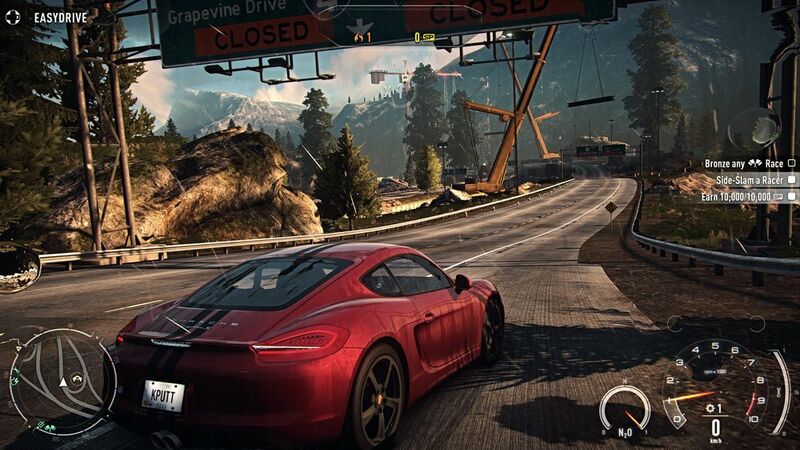 Need for Speed an open-world racer which allows for a freedom of movement you don’t get in many other games. The missions are fun and face-paced and the cars are highly customizable, which adds an extra layer of fun. If you want to get your loved one invested in your Need for Speed game, let them design a car for you. Even if they don’t want to play, they may be more willing to watch you play with the gorgeous machine they made with their own two thumbsticks. Forza and Need for Speed are compared heavily to one another. They are both open world racing games with amazing graphics, but each satisfies different markets. Need for Speed is for the arcade crowd, Forza is more a simulator. Gran Turismo might not classify as a “true” racing simulator (I don’t know enough about cars or racing to tell you why), but it is a solid choice for casual gamers and enthusiasts. Gran Turismo allows you to experience high speed racing without the guilt of potentially denting a $1.2 million automobile or careening off the side of a mountain in a ball of fire. A great deal of attention is paid to the appearance and performance of each vehicle, as well as the general feeling of each car. It is a very big game, placing high importance on proper racing technique with the largest collection of cars in a racing game to date. These things may be intimidating beginners, but I can still recommend Gran Turismo to people with little experience. 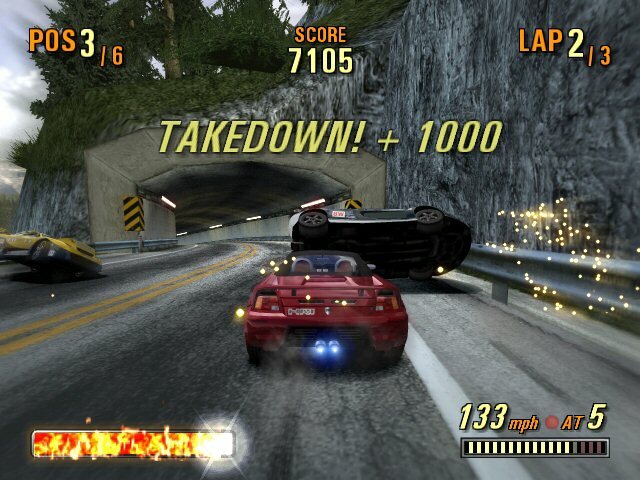 The game does a very good job of preparing the player for difficult races with its license-testing system, which barricades the player from progressing to higher levels without proving they have mastered the necessary techniques. That might sound menacing, but the learning curve is actually very gentle. Let loved ones watch you play. I started playing racing games after watching an old boyfriend play them. Sometimes, people will be willing to investigate something you like simply because they want to connect with you. It’s easier to approach something new when you are with other novices. Invite a small group over for a Mario Kart party. People tend warm up to new experiences (and each other) quickly when they are all equally terrible at something. Be nice and be patient. One disadvantage of co-op racing games is that you are usually in direct competition with one another, rather than working toward the same goal. I cannot stress enough the importance of being a good sport. Being terrible at something is only fun for so long, and that length of time has a direct negative correlation with how crappy a winner you are. Don’t gloat. Be encouraging. Cheer them on. We all like to have someone in our corner. These are just friendly guidelines. Your loved one may love Mario Kart, but he might be completely disinterested in the other games on our list. She may have a particular affinity for the technical precision of racing simulators. She might love Need for Speed, but steer away from Mario Kart. This entire genre might not be to their taste. These games are just good starting points for you to test the waters. The key is to be receptive. Ask what they like about a game and what they don’t like. Are arcade style games too fast-paced? Are racing simulators too technical? Do they like customizing cars? The side challenges? You can use these responses to tailor your recommendations for them and find a common ground to enjoy together in the fast lane.